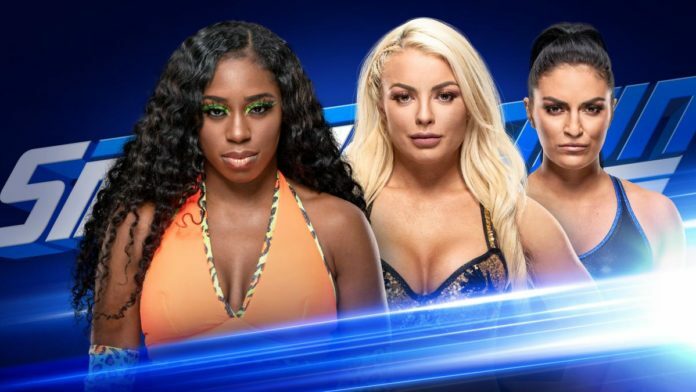 WWE has scheduled Naomi versus Mandy Rose for this Tuesday’s Smackdown. Rose has been antagonizing Naomi as of late by making “advances” toward Naomi’s husband, Jimmy Uso. Naomi will get her chance at revenge when they go one-on-one on Tuesday night. A match between the two Superstars was also scheduled to take place back in December but was canceled last minute. In the storyline, the cancellation was caused by a last-minute photo shoot for Mandy Rose but in reality, she is believed to have been under the weather that day. I’m not sure if my match got cut or if @WWE_MandyRose just didn’t show regardless I’m over it I’ll let the fans handle this 1 for me #sdlive ?? Also scheduled for Tuesday’s show is Andrade vs Rey Mysterio in a best 2-of-3 falls match. Samoa Joe will also take on Mustafa Ali.